Barcode printeris a computer peripheral for printing barcodel abels or tags that can be attached to, or printed directly on, physical objects. 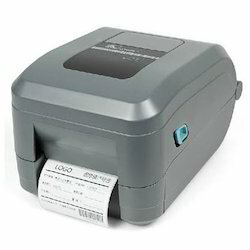 Barcode printers are commonly used to label cartons before shipment, or to label retail items withUPCsorEANs. 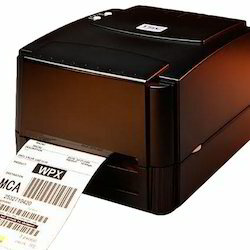 The most common barcode printers employ one of two different printing technologies.Direct thermal printersuse a printhead to generate heat that causes a chemical reaction in specially designed paper that turns the paper black.Thermal transfer printersalso use heat, but instead of reacting the paper, the heat melts awaxyor resin substance on aribbonthat runs over thelabelor tag material. The heat transfers ink from the ribbon to the paper. 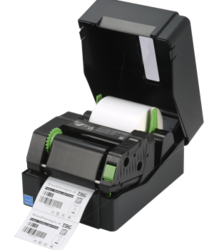 Direct thermal printers are generally less expensive, but they produce labels that can become illegible if exposed to heat, direct sunlight, or chemical vapors. 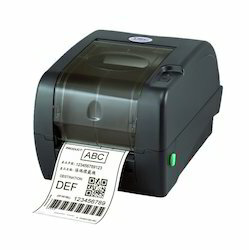 Barcode printers are designed for different markets. 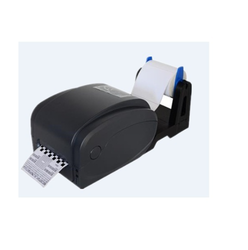 Industrial barcode printers are used in large warehouses and manufacturing facilities. They have large paper capacities, operate faster and have a longerservice life. 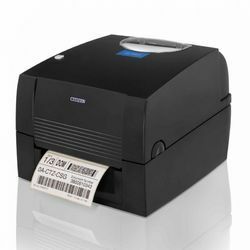 For retail and office environments, desktop barcode printers are most common. 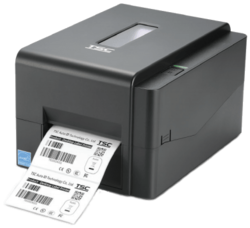 As per the requirements of the customers, we are involved in providing the best quality of Barcode Printer and for semi-industrial need, TSC 345 is the best choice. 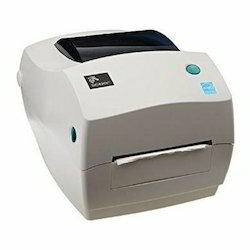 As per the requirements of the customers, we are involved in providing the best quality of TSC 244 Pro Barcode Printer. 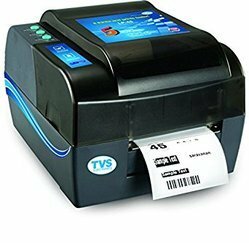 TVS LP45 Rugged printer with 1 year of complete warranty (printhead including in warranty). We are engrossed in presenting to our customers a wide gamut of Citizen Barcode Printer. The component used in their development, are procured from reliable source of the market and is well tested before getting shipped at our clients’ end. In addition, their inexpensive rate and on time delivery makes it eminent in the market. 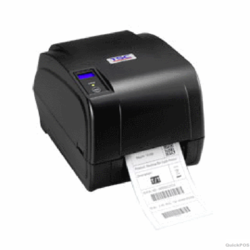 Due to devoted professionals, we have been competent to offer a broad series of Zebra GC 420 Barcode Printer. 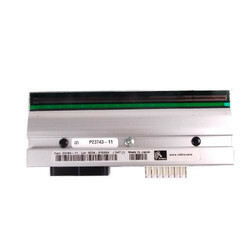 Tsc Barcode Printer print head , We have all type of print head availabel with us.